Doha has been awarded the right to host the 2019 World Championships after beating off competition from Eugene and Barcelona. The IAAF council voted in favour of Doha following final presentations from all three cities at the Fairmont Hotel in Monaco. It is a case of second time lucky for the capital city of Qatar after it was edged out by London to host the 2017 event. 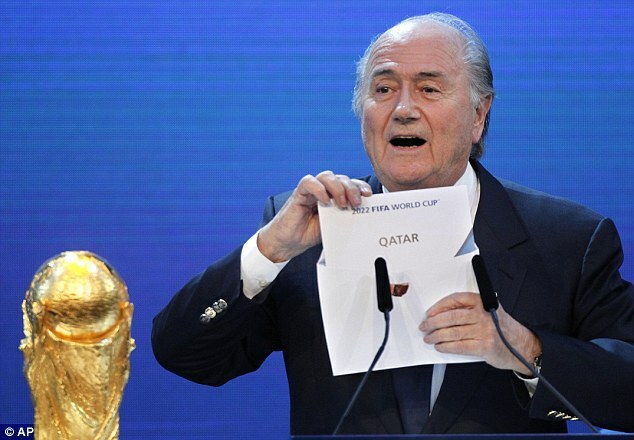 Doha will now stage the World Championships three years before the country is set to host the football World Cup in 2022. FIFA’s decision to stage the World Cup in Qatar has drawn considerable controversy, with a recent report clearing both the Arab country’s bid for 2022 and Russia’s plans for 2018 being questioned by chief ethics investigator Michael Garcia, who announced he would appeal against the ruling last week. One of the major sticking points over Qatar staging football’s biggest showpiece have been the high temperatures in the region, but the Qatar Olympic Committee’s senior advisor Aphrodite Moschoudi reassured the council during Doha’s presentation that this will not be a problem for the World Championships. Moschoudi, who explained the championships would be staged from September 28 to October 6 in 2019, said: ‘There are two great things about these dates. First the temperature in Doha at this time of year is no different to several recent World Championships. ‘Average temperature at that time of the year is even lower than temperatures we have at our Diamond League meeting every May.